Have you seen Yacov Simmonds? 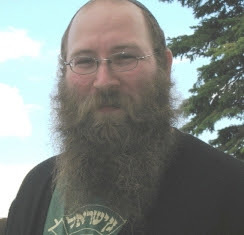 According to a report by CBC, Police in Winnipeg believe that Rabbi Yacov Simmonds, 42, has been hiding out somewhere in the United States after a warrant was issued for his arrest on three counts of sexual assault, three counts of sexual interference and two counts of invitation to sexual touching. It is still an ongoing, active investigation so police could offer few details on the matter. Sexual interference involves touching a part of the body of any child under the age of 16.